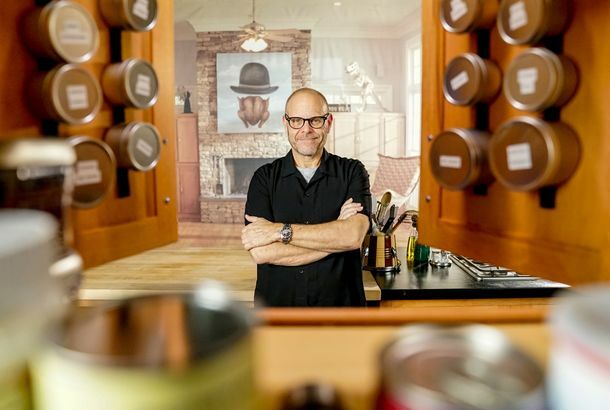 How Alton Brown Plans to Make Good Eats Even BetterThe Food Network host will retool old episodes of his classic cooking show, and launch a full-on reboot. 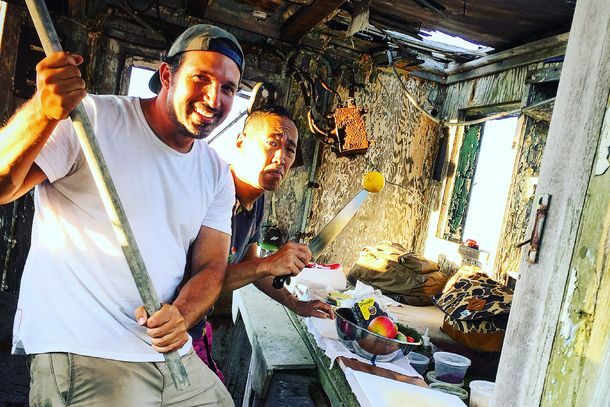 Cooking Channel Sets Up Shop at The BrigThe network is offering free food this Friday in Venice. The Beer Chicks Appearing Next Week on Cooking Channel’s Eat This, DrinkThe duo will not only drink and pair beer, but also plan sweet corn floats and sweet potato cocktails. Baron Ambrosia Headed to Cooking Channel This SundayThe ‘Bronx Flavor’ host’s national special will air this Sunday. Cosentino Takes Cooking Channel to Ferry BuildingAlso, the host makes General Tso’s Chicken with ketchup. Cooking Channel Dishes Up Free Ice Cream at Reading Terminal MarketThe network is rolling up in its food truck and doling out free ice cream from Bassett’s. Ben Sargent, a.k.a. Dr. Claw, Gets a Book DealIt will be, you guessed it, a seafood cookbook. Debi Mazar Is the Latest Celeb to Get Her Own Cooking Show’Extra Virgin’ will debut on Cooking Channel next month. PLCB Ratchets Up Its War on Four Loko; Giant Food Will Absorb TwoPlus Bobby Flay’s horse won a high-stakes race at the Breeder’s Cup, and USDA simultaneously pushes high fat cheese to consumers while issuing warnings on obesity, all in our morning news roundup. Food Network and Cooking Channel Dropped from U-VerseThe two sides disagreed over online content. Suspect Charged In Killing of Northern Liberties Waitress; DeadliestPlus children’s drinks contain lead, and Lisa “Hungry Girl” Lillien gets her own show on the Cooking Channel, all in our morning news roundup. LeBron James Tempted By Iron Chef Symon; Shark Fins Banned In HawaiiAn NBA all-star gets an edible offer to stay in Cleveland, while an endangered animal gets protection from restaurant goers. Michael Symon Bribes LeBron; Cooking Channel Tries to Be CoolPlus: sushi crime in P-Town, and the next big bar trend, all in our morning news roundup. Cooking Channel Will Feature Mo Rocca, Julia ChildCheck out the Food Network spinoff channel’s lineup. 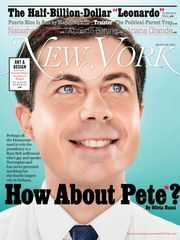 Four People Find Glass in Their Hospital Meals; Jay McInerney to Become WineCA farmers want more water, Kaiser patients get served glass shards in soup, and Jay McInerney is rumored to be becoming the Wall Street Journal’s wine columnist. Bill Clinton Defends First Lady’s Obesity Fight; Tokyo Bowl of Ramen Costs $122Michelle Obama’s food initiatives get support from a former President and Japan puts a haute spin on noodles. Is the New Scripps Cooking Channel Anti-American?Rachael Ray, Bobby Flay, and Emeril are joined by … a bunch of Canucks? Dunkin’ Donuts Celebrates Anniversary, Starts PACIt’s a very Dunkin’ Donuts day in our morning news roundup. Reichl Says Foodies Aren’t Dead; Food Network Spawns Another ChannelPlus, Charlotte S. Turgeon dies at 97, and Alton Brown uses a fire extinguisher to make smoothies.